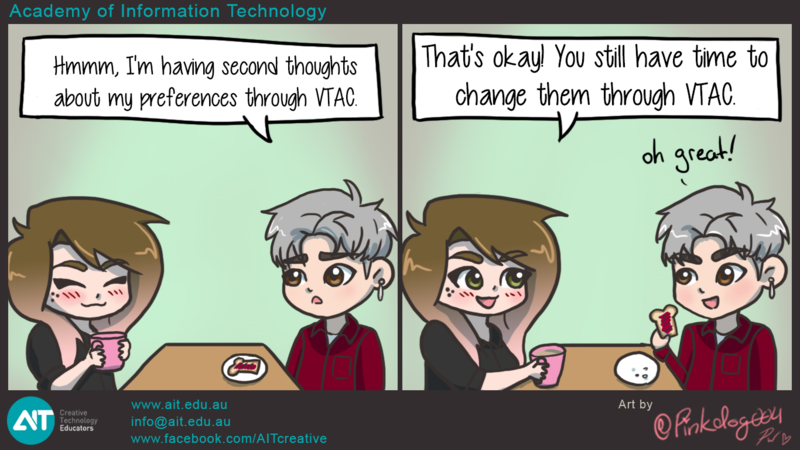 We've said it before and we'll say it again - the great thing about VTAC application is that you’re able to change your course preferences if you have a change of mind! According to VTAC, there is no cost involved just as long as you pay your course application fee. 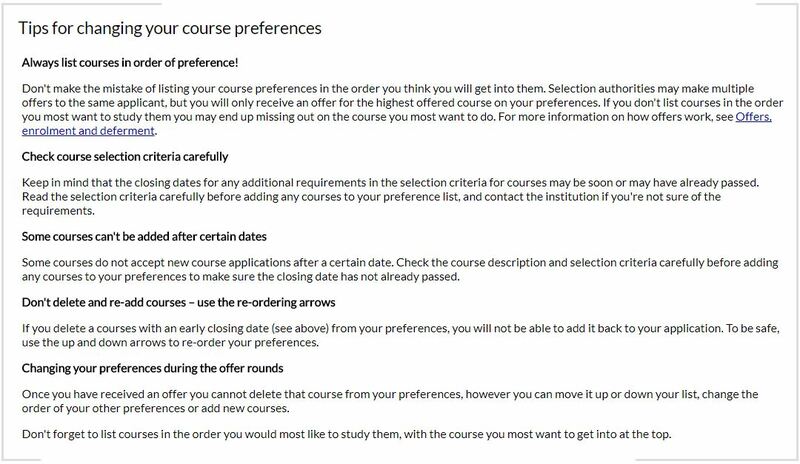 Remember to always check your course code when changing your preferences! Here are AIT’s course codes for easy reference.